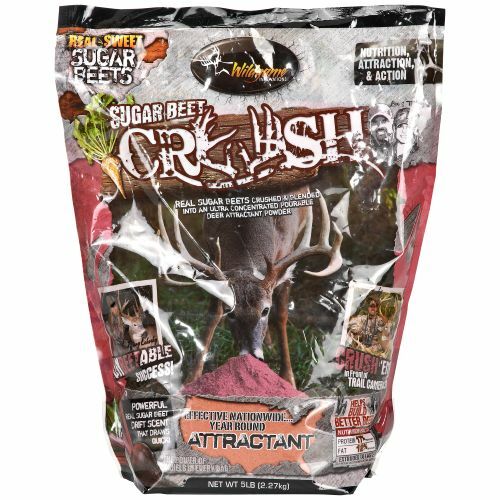 Pick up Sugar Beet Crush Attractant by Wildgame Innovations at Farmers Coop. 100% real sugar beets blended with beans to lure in that once-in-a-lifetime trophy. With approximately 17% protein and 12% fat, this sweet food mix will help build stronger deer. The crush deer attractant is also packed in an easy to pour bag, making transporting to the woods simple and convenient. Stop by your local Farmers Coop Sugar Beet Crush and other deer attractants and supplies. This entry was posted on Wednesday, August 31st, 2016 at 1:55 pm	and is filed under News & Updates, Wildlife, Deer. You can follow any responses to this entry through the RSS 2.0 feed. Both comments and pings are currently closed.